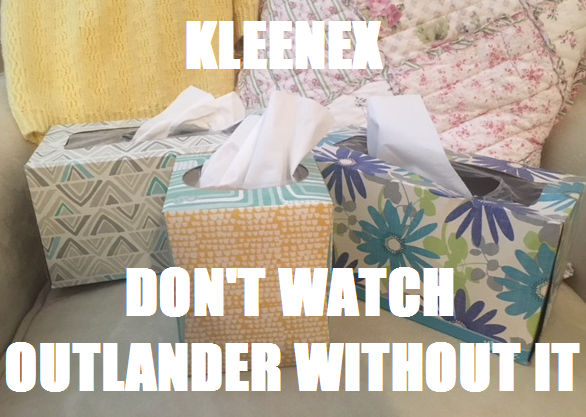 I’m about to make a bold statement, my fellow Outlander fanatics. Episode 304, “Of Lost Things,” is my favorite episode to date. 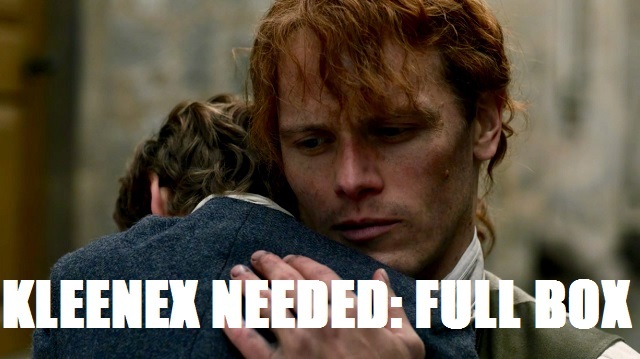 I love it even more than the wedding, more than Jamie swooping into Black Jack’s window to save Claire, more than the Battle of Prestonpans when I cried my face off, more than Jamie sending Claire back through the stones, when I also cried my face off. I. Love. It. 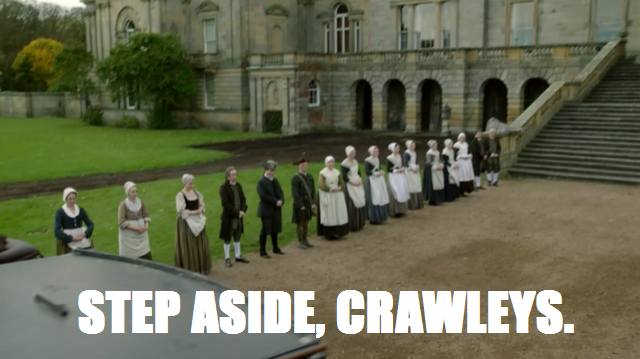 This episode is filled with SO MANY FEELINGS and ALL THE TEARS and also a house that looks a lot like Downton Abbey. 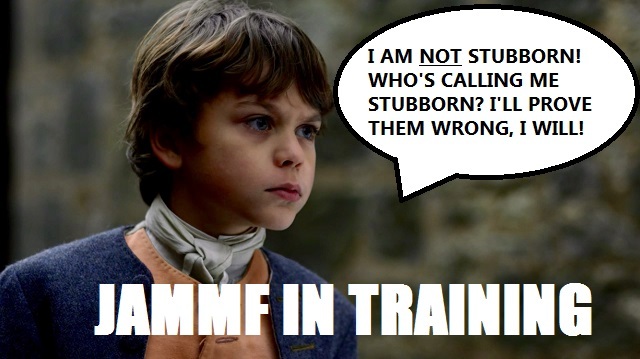 Plus, there’s a really cute little kid in it. 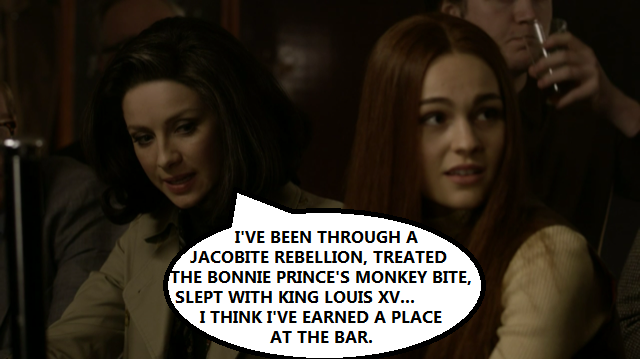 So let’s get on with it and dish about the creme de la creme in this week’s Outlander Superlatives. Besides all that, he is just about the cutest little nugget ever. This was basically my face for the last twenty minutes of the episode. 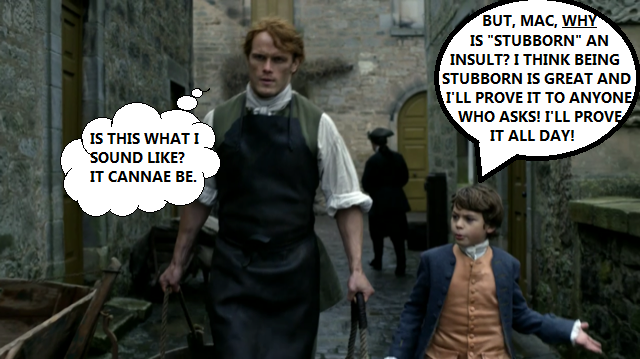 Jamie finally gets his wee laddie, and now he has to leave him! 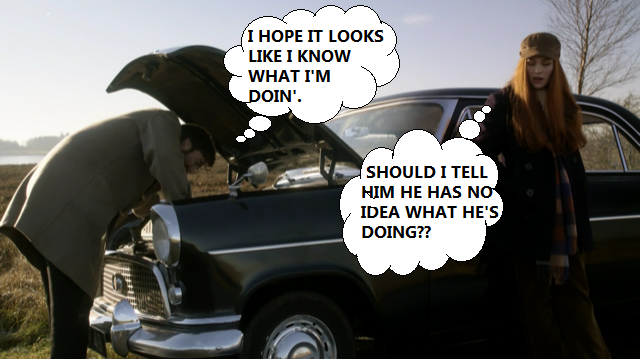 And then there’s Claire giving up on her search? And Roger looking so sad in his amazing turtleneck? I went through more Kleenex watching this episode than I care to divulge. I don’t think I’ll ever be able to hear “A Hard Rain is Gonna Fall” without falling into a pile of feelings. Look at this man. He is so adorkable! How much is he loving his research project? 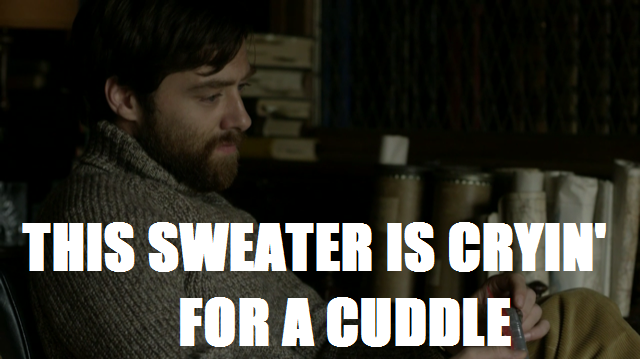 And here he is looking so darn cute in his plaid with another turtleneck underneath. 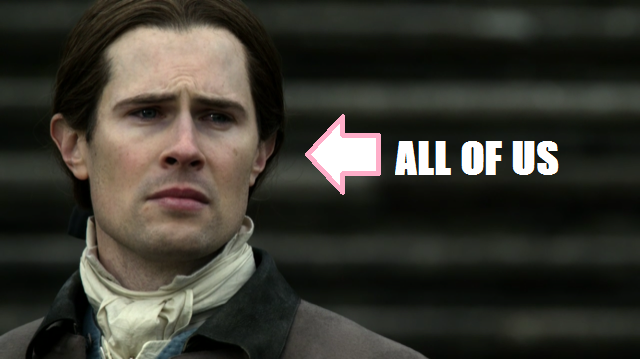 Kiss him, Bree! Get your man! 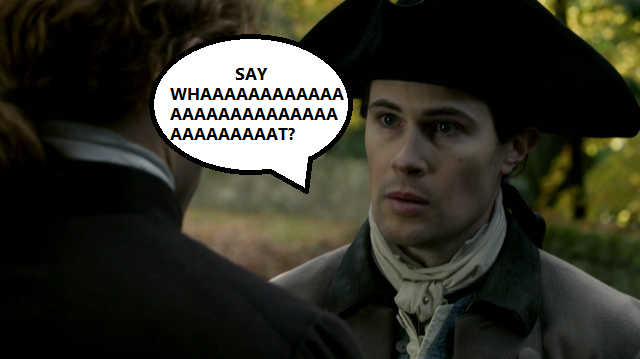 What’s next, Fraser? Offering the baker a peek at those buns in exchange for actual buns? 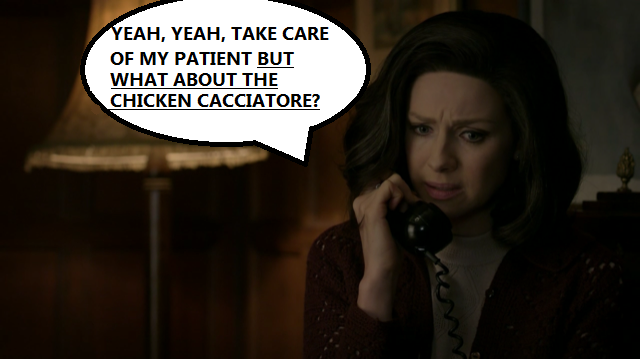 I know that Joe calls Claire for major medical talk, but the minute I hear “chicken cacciatore,” all focus goes out the window. I love chicken cacciatore. 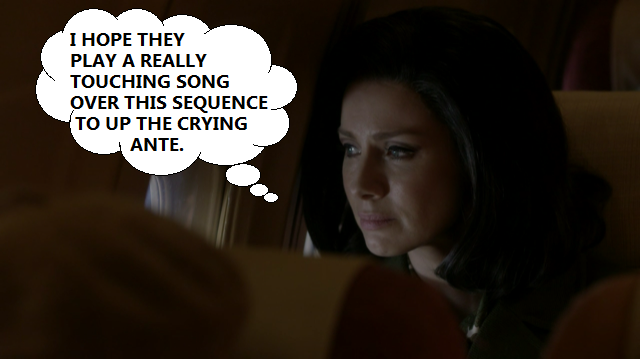 And evidently so does Claire. If that’s the real reason she’s hightailing it back to Boston, I can’t blame her. Shallow Hal is in the house! And he’s got not one, but two ladies on his arms. This guy is living his best life. Too bad both of these ladies have their sights set elsewhere. Claire has been through some stuff. Like, 18th century battlefields and 1950s med school as a woman kind of stuff. And now she’s not supposed to sit at a bar because she’s a lady? Not cool, ye olde Scottish pub. Take those archaic customs somewhere else. La Dame Blanche will sit wherever she likes. But then he had to go and tell Geneva she could watch him undress, and he gave her that beautiful speech about lust vs. love, and he also looked like this, so yeah. 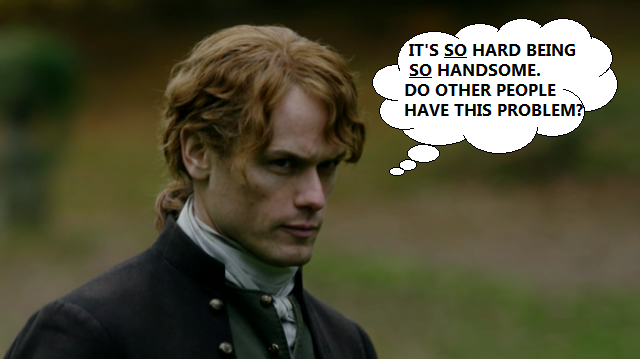 Hottest JAMMF. 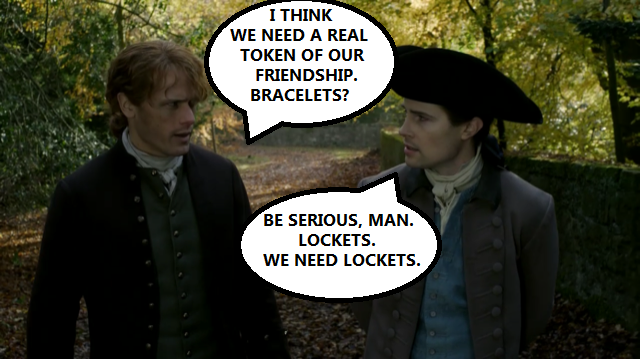 Am I the only one who thinks that Lord John and Jamie need matching Best Friends necklaces? You know the ones, where the heart is broken in half and JAMMF has the part that says BE FRIE and LJG has the other side that reads ST NDS? 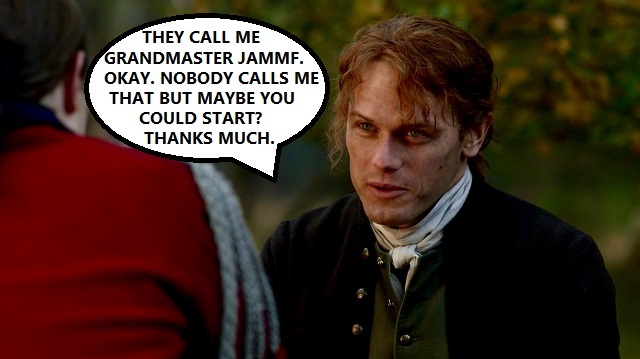 Of course he’d give JAMMF the better half and not the one with all the consonants, because that’s the kind of friend he is. 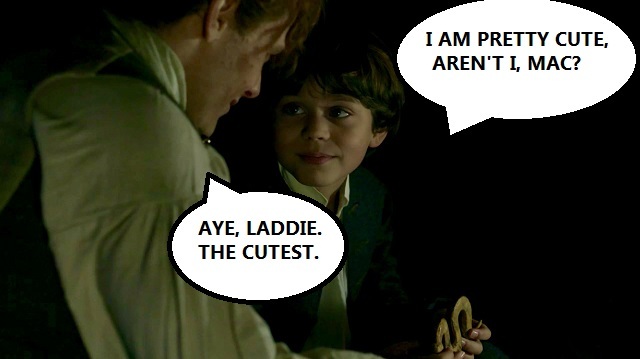 I mean, he’s marrying Isobel so he can be Willie’s father and watch over him for JAMMF! BEST FRIEND EVER. 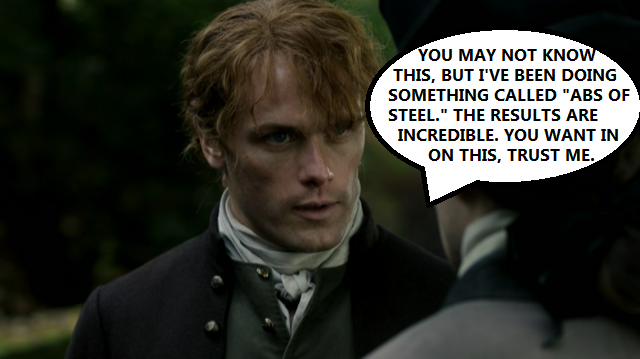 So, what say you, Sassenachs? 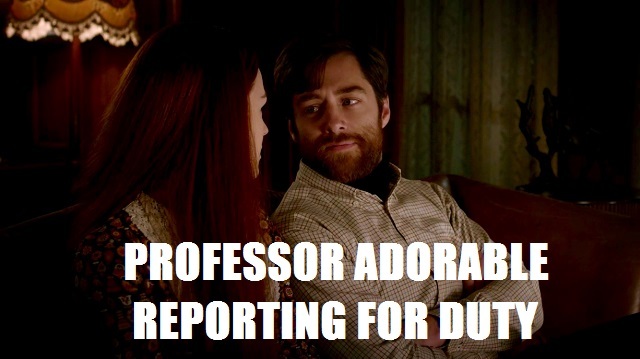 Did you love every ounce of this episode? Did it break your heart and make you feel all the feelings? Can you even wait until the weekend? 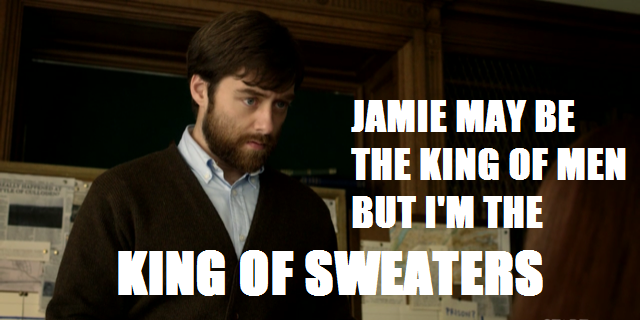 I know I cannae! Love your irreverent take on the show. It’s a much needed decompression after some very heavy going drama. Disagree on one point. Nothing is better than the wedding episode which was perfection. Even much of the Geneva bedding hearkened back to it as the superior experience because it was 2 minds melding and souls mating, not just bodies slapping together. Thank you so much!! The wedding episode certainly was perfection. 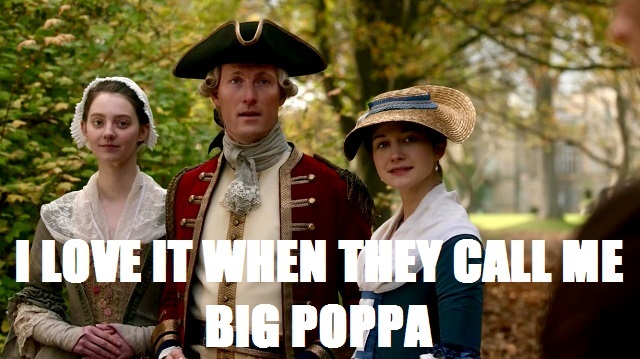 I loved how the print shop episode, too, called back to so much of the wedding—both in how they’re still Jamie and Claire, but also how much those 20 years have made them awkward around each other again, just like that first night together. 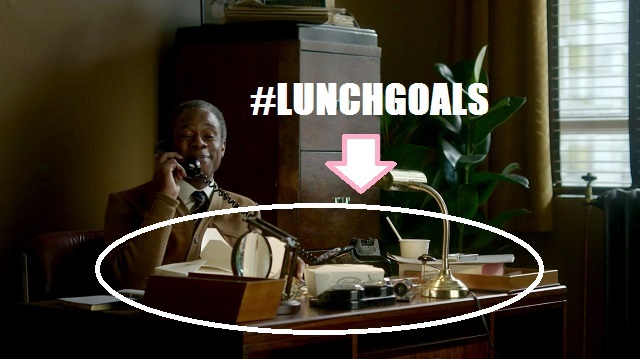 This show just steals my heart week after week.